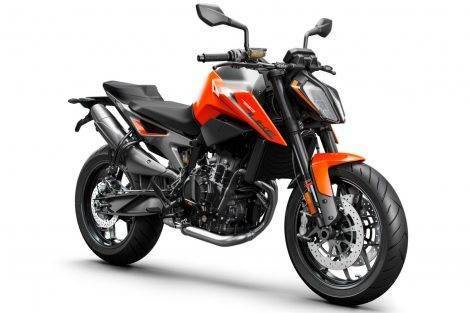 KTM has long stretched its medium single-cylinder engine, but the time has come to take a step forward in the segment of medium and high displacement naked motorcycles with the KTM 790 Duke 2018. 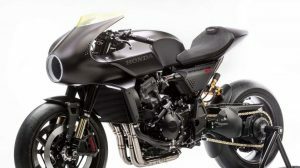 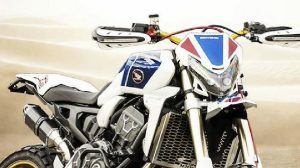 Presented at the EICMA 2017, is a very electronic naked Regarding the competition and at a price expected to be around 10,000 euros. 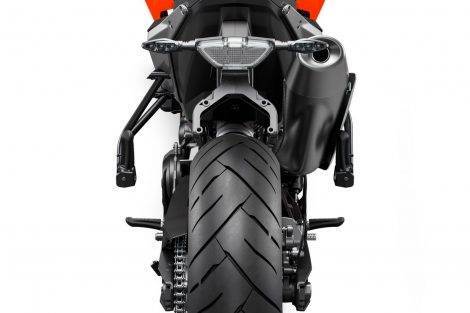 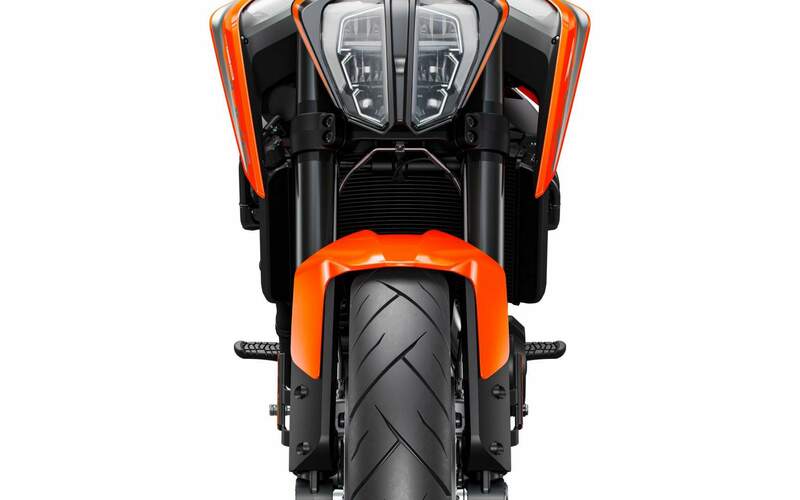 Kiska is again responsible for a design inspired by the KTM 1290 Super Duke. 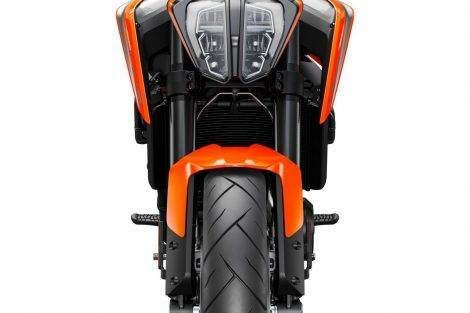 It stands out for the LED split headlight, the TFT screen instrumentation and the aggressive features in its panels. 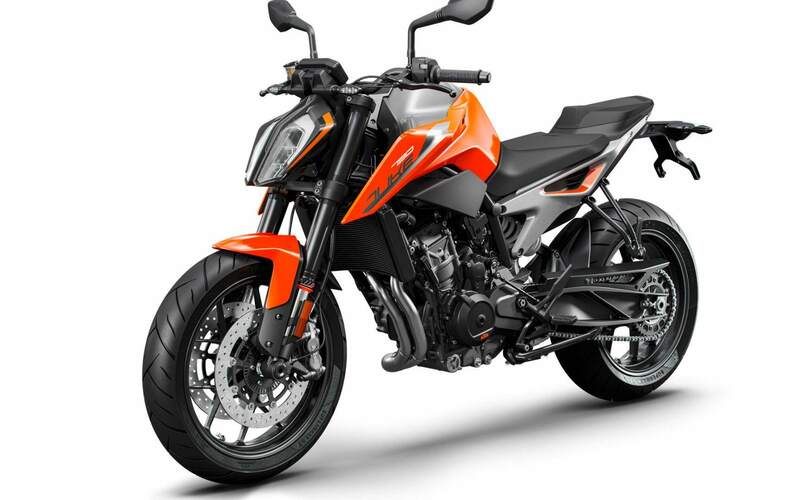 It is minimalist and compact, which is also noticeable in the dynamics it promises. 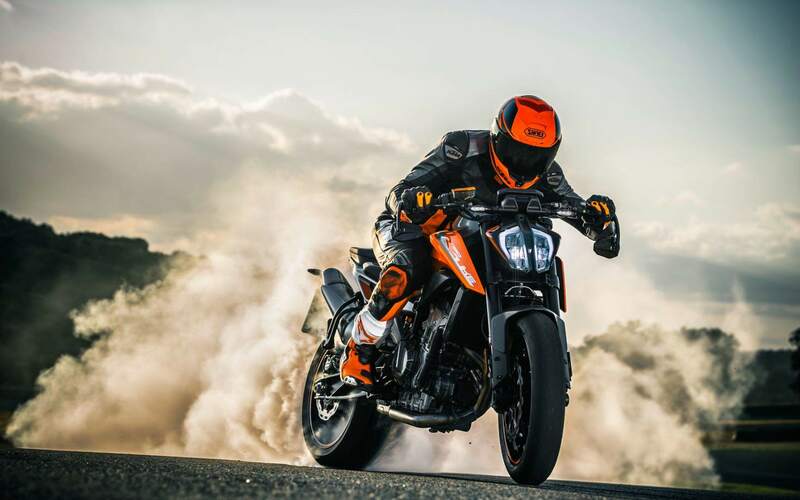 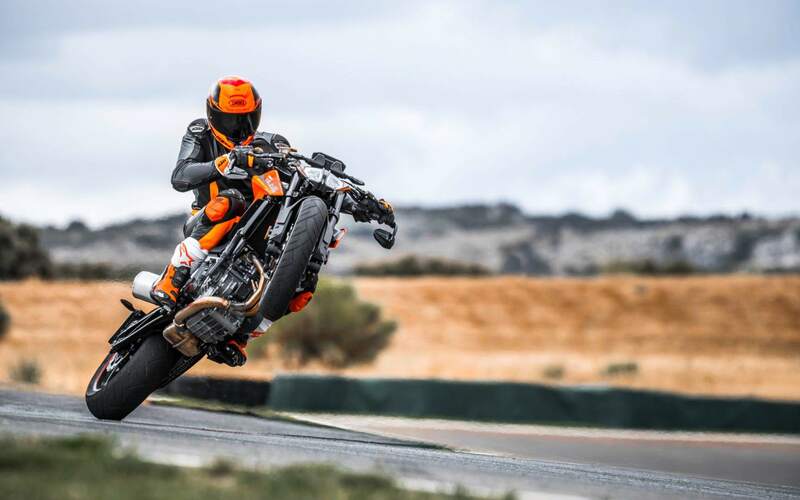 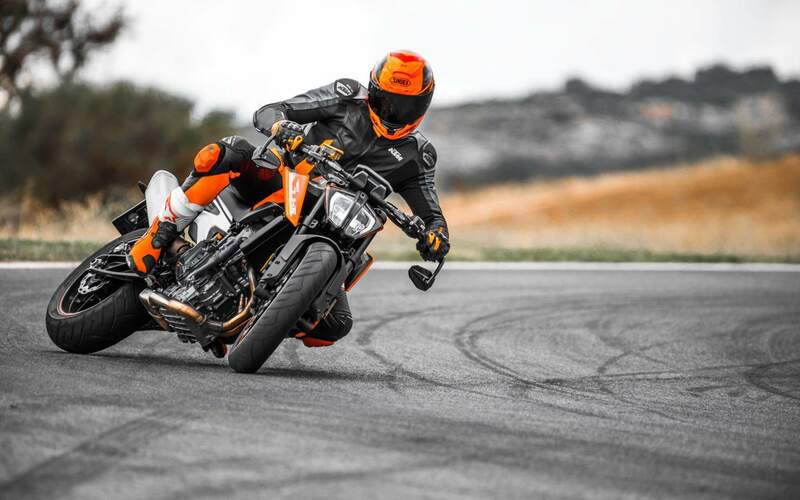 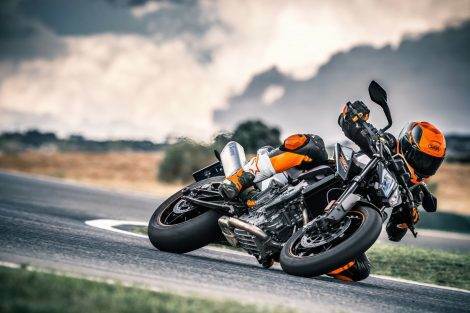 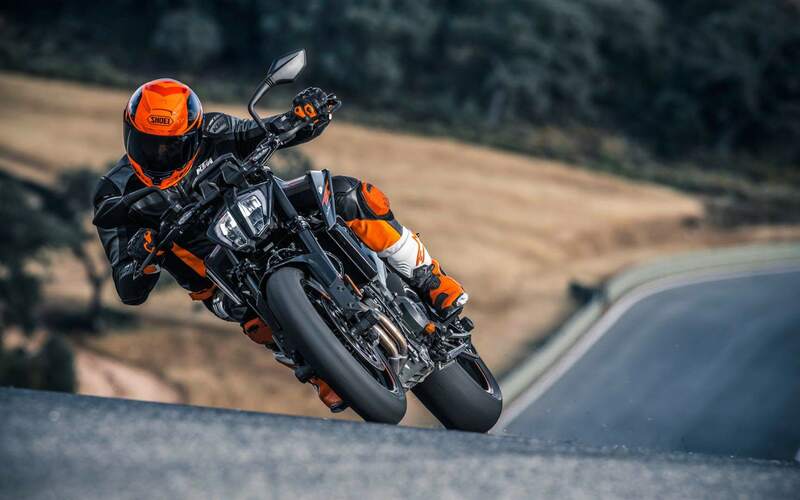 KTM 790 Duke has its base in the new 799 cc twin-cylinder engine with 4 valves per cylinder and ride-by-wire that yields 105 HP of power and 85 Nm of maximum torque. 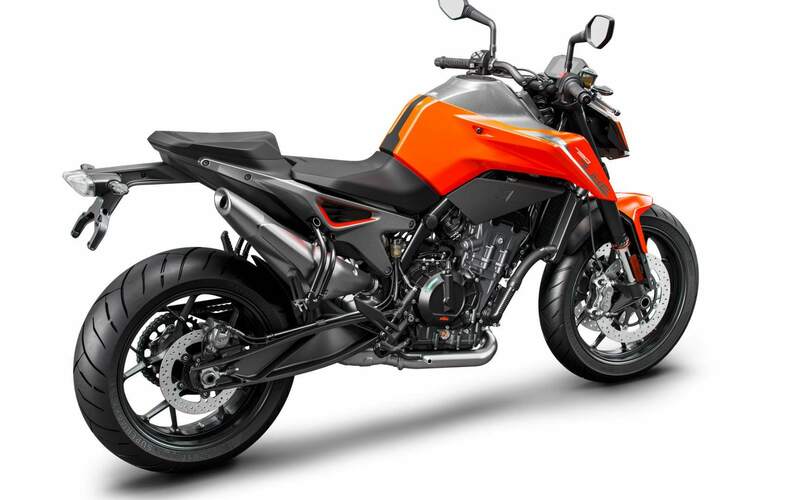 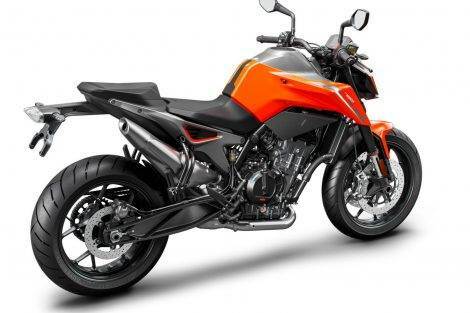 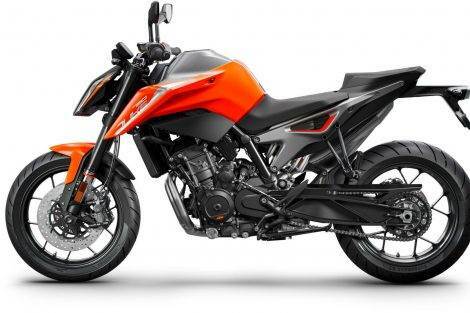 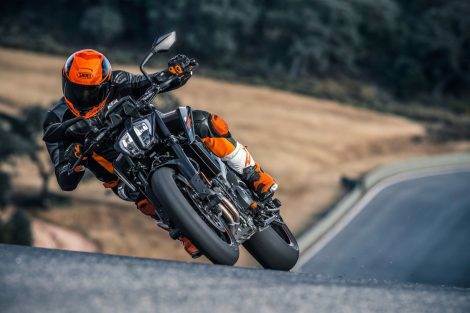 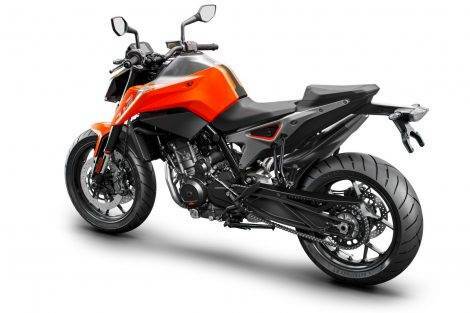 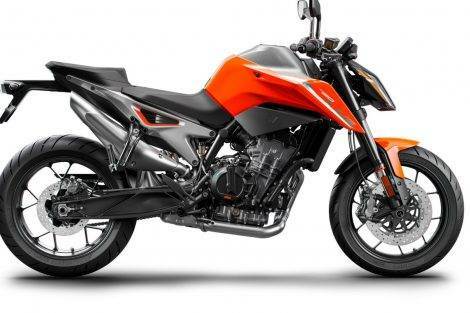 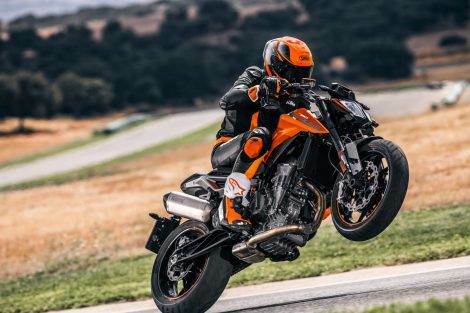 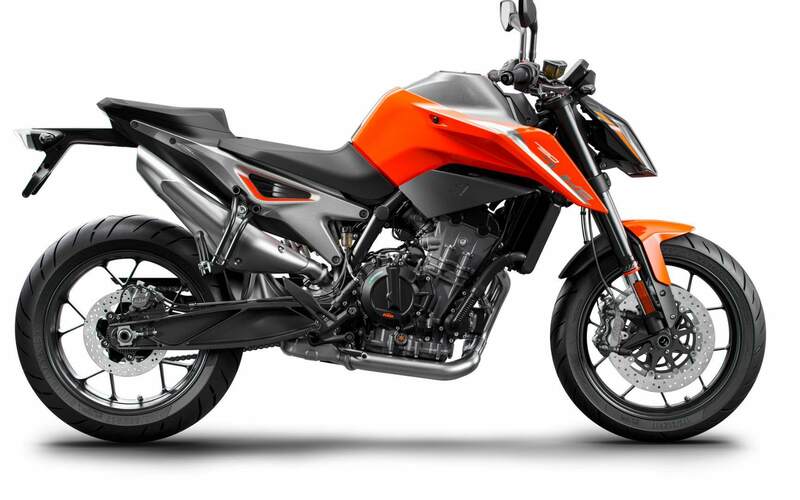 The tank has a capacity of 14 liters and KTM announces an average consumption of 4.4 liters per 100 km, although the Akrapovic exhaust option (much more attractive to the eye than the standard one) can alter these figures somewhat. 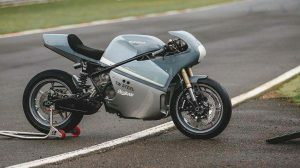 It is combined with a weight in the running order of only 169 kilos, so it is one of the naked in its category with better power/weight ratio. 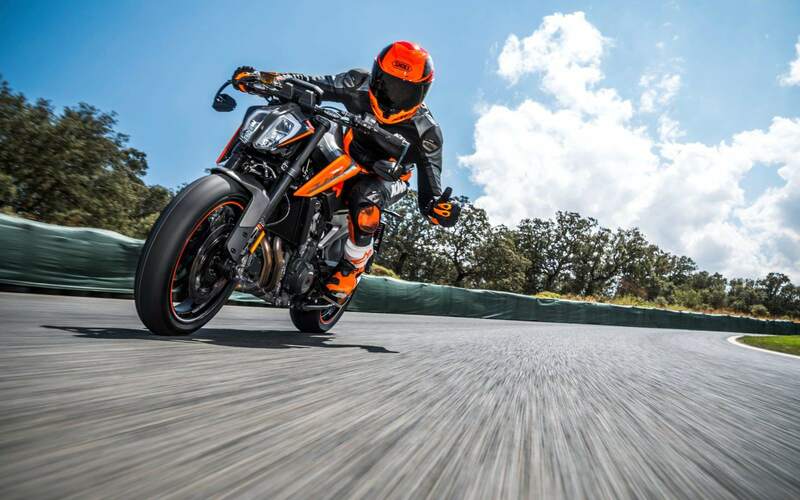 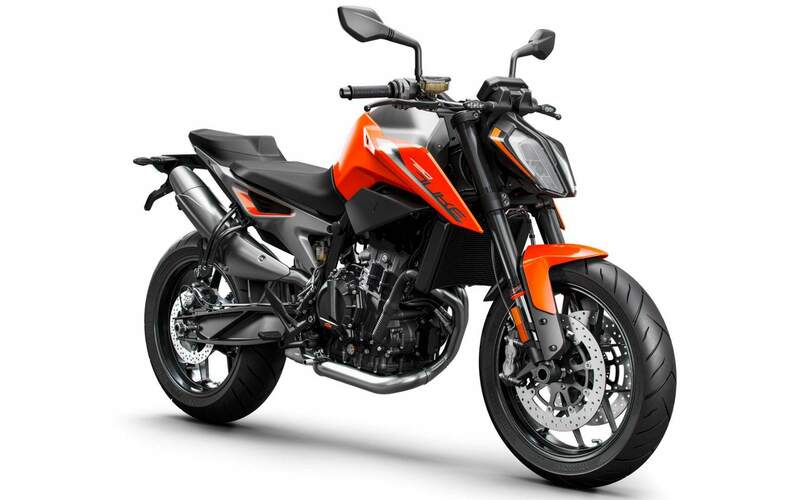 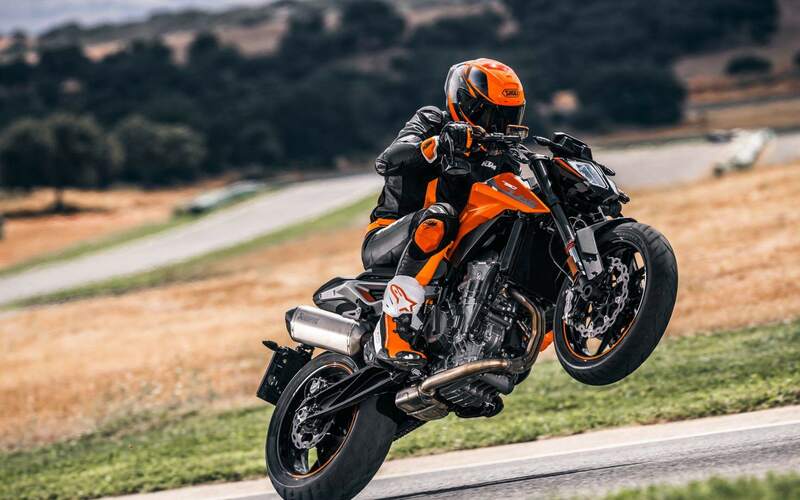 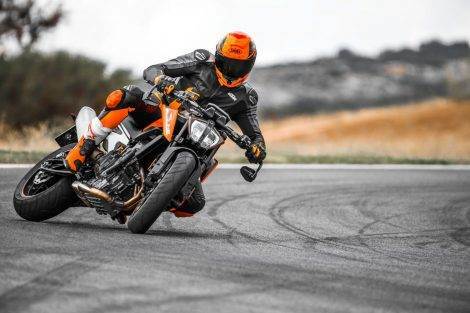 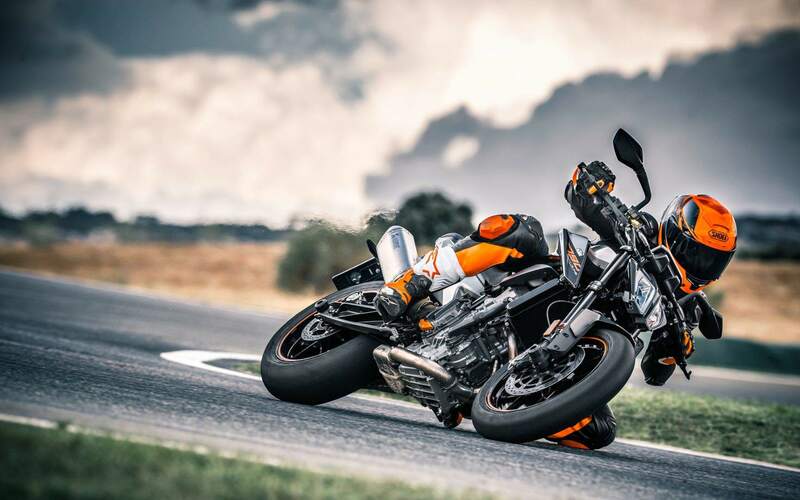 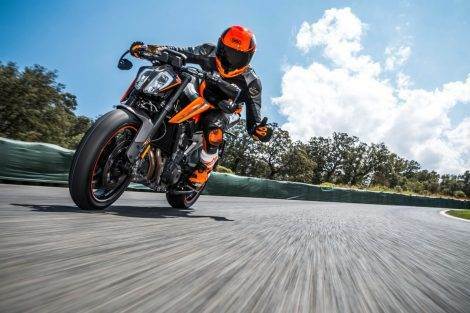 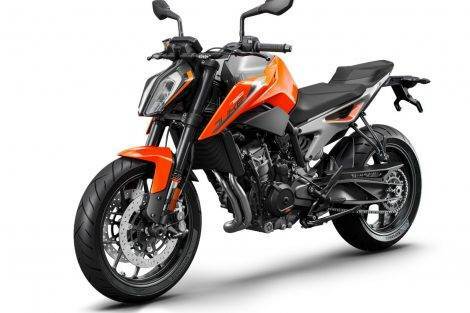 In addition to this good ratio, KTM 790 Duke offers as standard a complete electronic package comprising traction control managed by the inertial measuring unit, output control, ABS brakes with stability control or quick change to raise and lower gears. Along with the integrated anti-rebound clutch, of course, we have a naked to the last in this section. 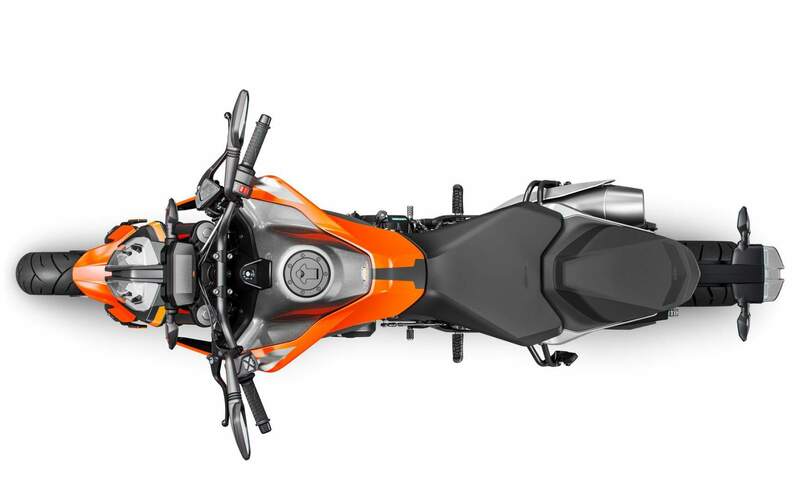 The Trellis-type chassis is now optimally combined with the new powertrain, while the 43 mm WP fork provides the necessary stability in the front axle. 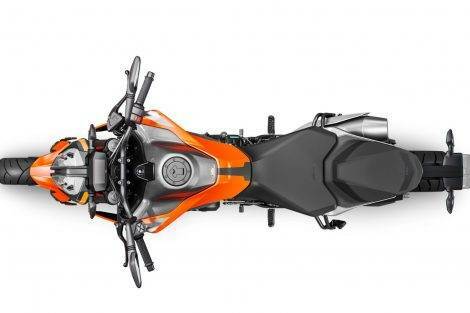 The seat, on the other hand, is located 825 mm above the ground, somewhat elevated for more demanding riders. 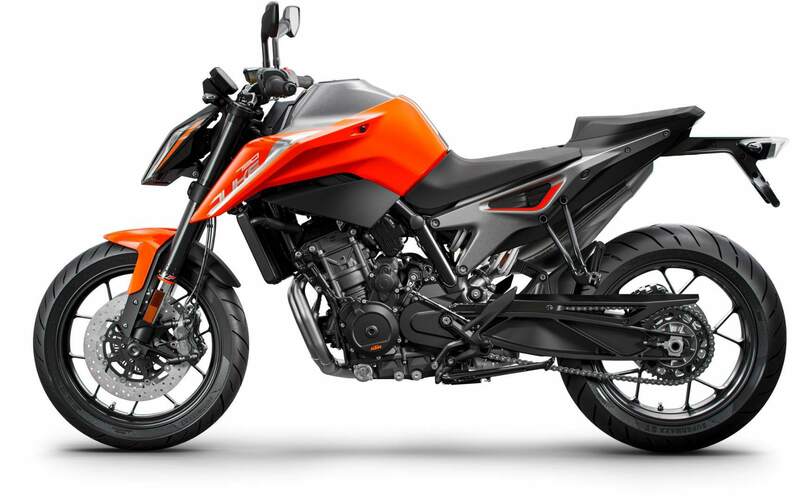 Undoubtedly a new standard that should be answered by rivals especially if it refines in price as the Austrian brand is doing lately.